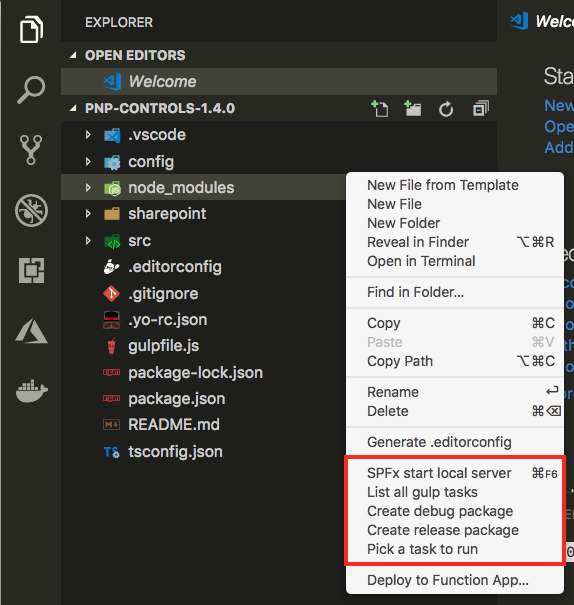 Visual Studio Code>Other>SPFx Task RunnerNew to Visual Studio Code? Get it now. This extension allows you to easily run SharePoint Framework tasks with a couple of mouse clicks. 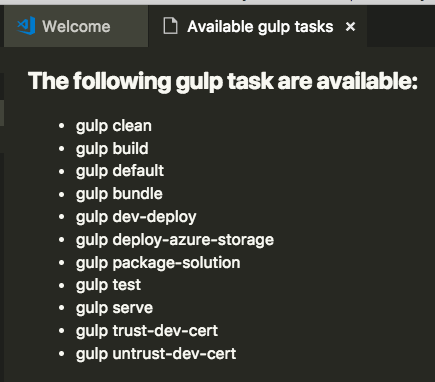 At the moment you can for example list all the available gulp tasks in your project, start the local development server and create debug or release solution packages or pick a task to run from the list of available tasks. Feedback and ideas are always welcome. Please submit them via creating an issue in the project repository: issue list.